You’re One Click Away From Expert Steam Flow Measurement Advice! Measurement of steam is problematic. Predicting demand overtime is no small engineering task. 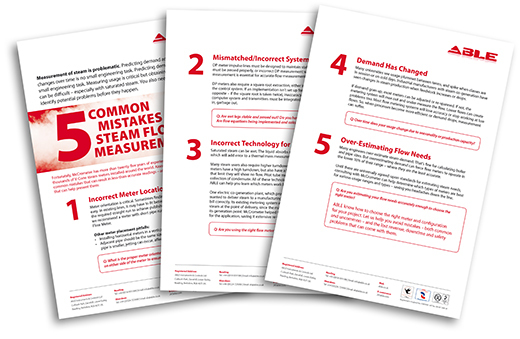 Measuring usage is critical but obtaining accurate readings can be difficult – especially with saturated steam. You also need to be able to identify potential problems before they happen. Use this guide to determine how a steam flow meter can fit into your existing system, be incorporated into an upgrade, or fit into an initial implementation.